Venice Architecture Biennale 2016: Estonia, Latvia and Lithuania have united for the first time at the Biennale to present the Baltic Pavilion, which explores the impact of redeveloping the region's Soviet-era infrastructure (+ slideshow). 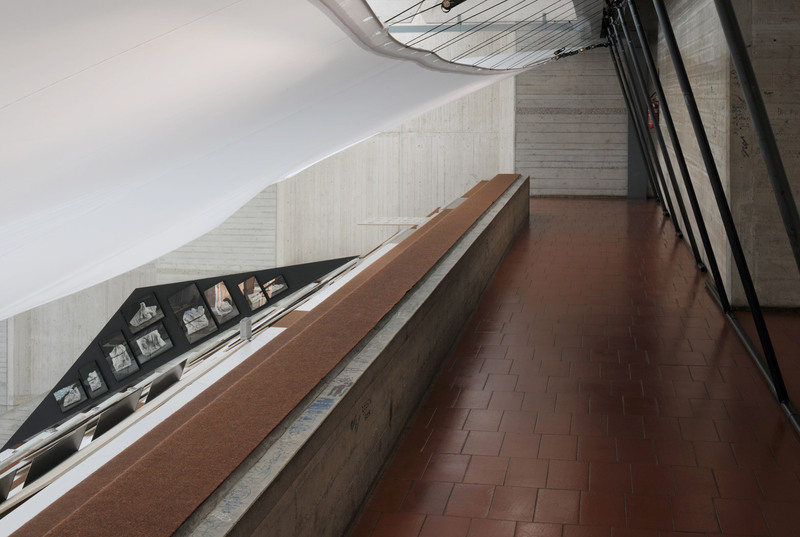 The Baltic States' current infrastructure was largely put in place during Soviet occupation, explained Niklāvs Paegle and Laila Zariņa, two of the pavilion's nine curators. But when the three countries gained independence in the 1990s and joined the European Union in 2004, they began to make new decisions about their development, including the use of natural resources. 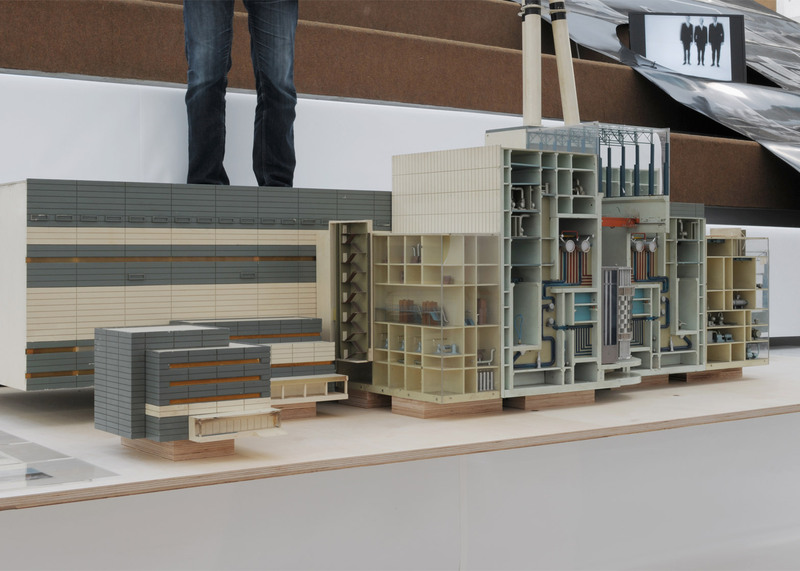 The exhibition aims to make the impact of these decisions around infrastructure more tangible, using architectural models, photographs, installations and scientific samples to show the effect both above and below the earth's crust. "It's expanding the understanding about architecture, because quite a lot of people might think that architecture is just facades, what you see on the ground," Zariņa told Dezeen during a tour of the exhibition. "We have these large infrastructures leftover and we are trying to make them work for all our new needs," added Paegle. "We are faced with the challenge of how to keep them running – they're very expensive just to maintain in a stable condition because they are so inert and large. And, on top of that, this is the time that infrastructure is becoming public," he said. Among these new types of architecture are the FSRU Independence, a huge gas storage ship that can supply the whole of Lithuania, and the pan-Baltic railway project Rail Baltica, which will link the Baltic States with other European countries. "Recent geopolitical developments around the Baltic States have created a sense of urgency for new spatial practices to be initiated, that both unite the region and underpin the foundations of the European Union," said the curators. 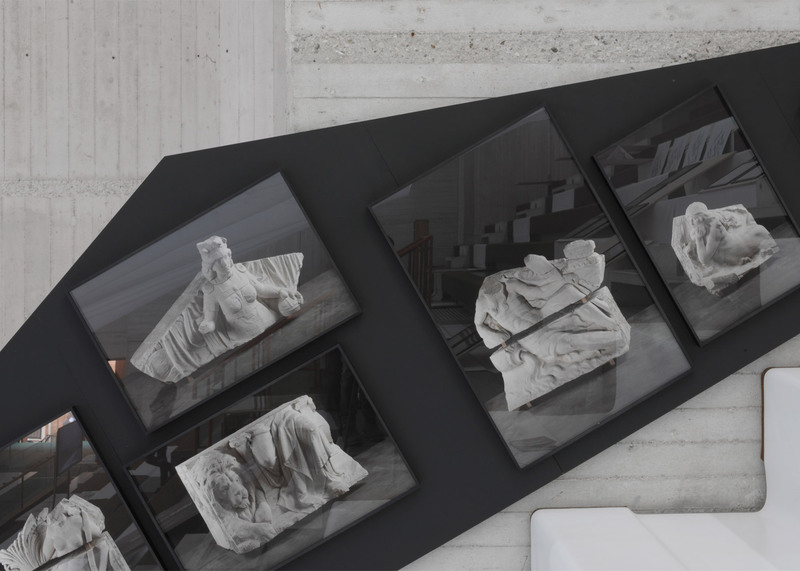 Estonia, Latvia and Lithuania had to win three separate national competitions to represent themselves in a single exhibition at the Biennale. Their aim is to present the common issues experiences by all three countries as they convert from Soviet to European infrastructure. "We managed to somehow go beyond the national representation, which is actually the very core format of the Biennale," said Paegle. "It was quite extraordinary how difficult it was to get the joint representation because we had to go through three ministries of culture, three ministries of foreign affairs." "There are always these glitches or twists in the system, which are really important break outs from that system to make a point." 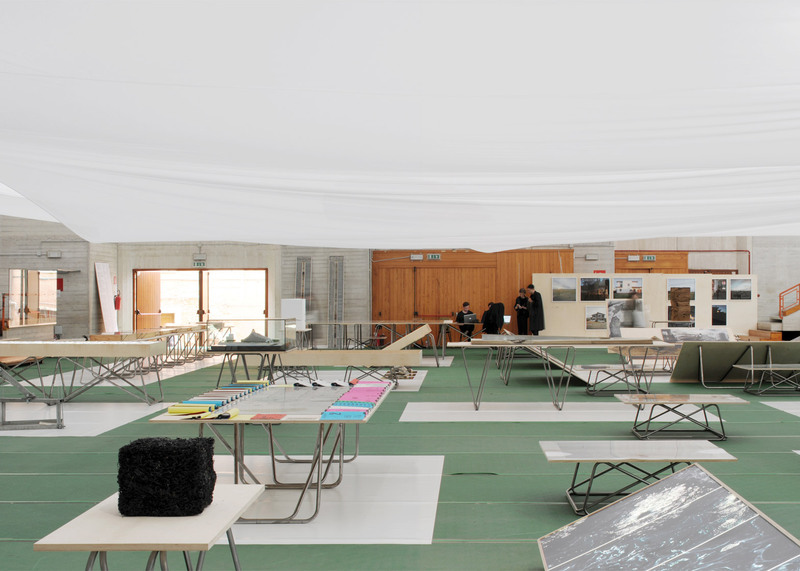 With no permanent venue, the Baltic Pavilion is hosted in the Palasport, a Brutalist sports hall tucked one block away from the main entrance to the Arsenale – one of the two main venues of the Venice Biennale. 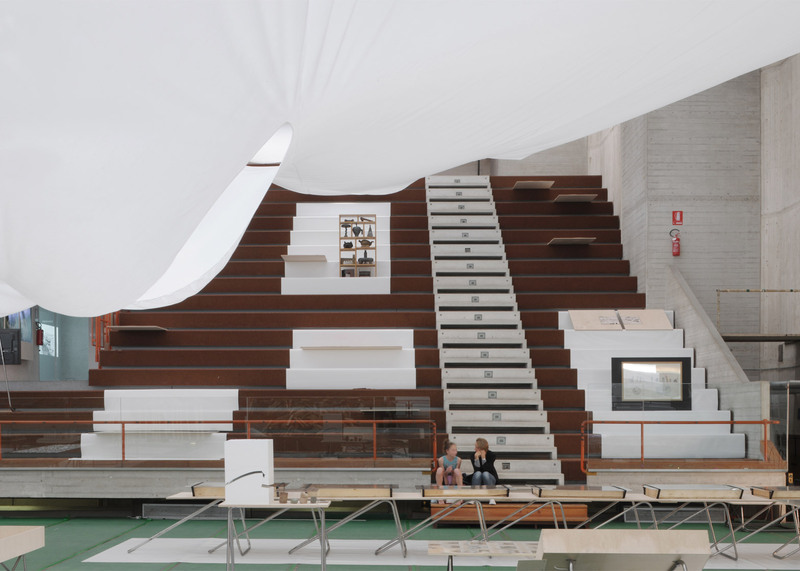 The board-marked concrete building designed by architect Enrichetto Capuzzo features a large hall flanked by two banks of tiered seating, and will remain in use by the Venetian community throughout the Biennale. The vast exhibition space is filled with works by more than 70 architects, scientists, geologists, anthropologists and philosophers. 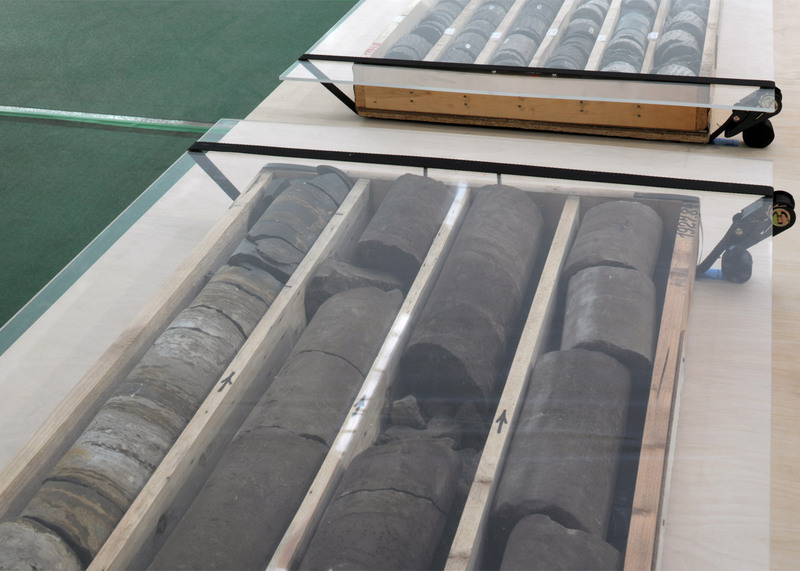 These range from earth core samples and a pile of tumbling timber representing the region's natural resources, to examples of the concrete structures used to maintain a clear coastline around the States' Baltic Sea freeports. 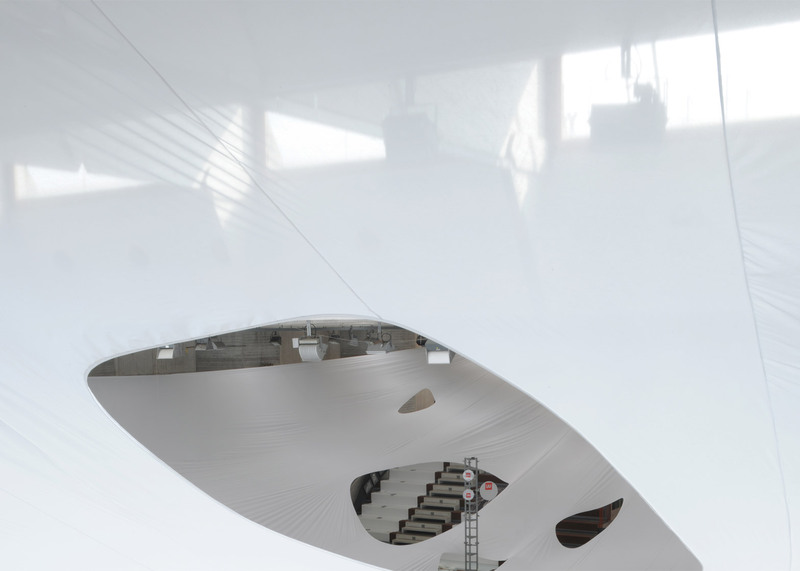 A huge white canopy suspended above the exhibits creates an "artificial sky" featuring a series of circular holes that permit views of the ground-level installation from the upper levels of the hall's tiered seating. 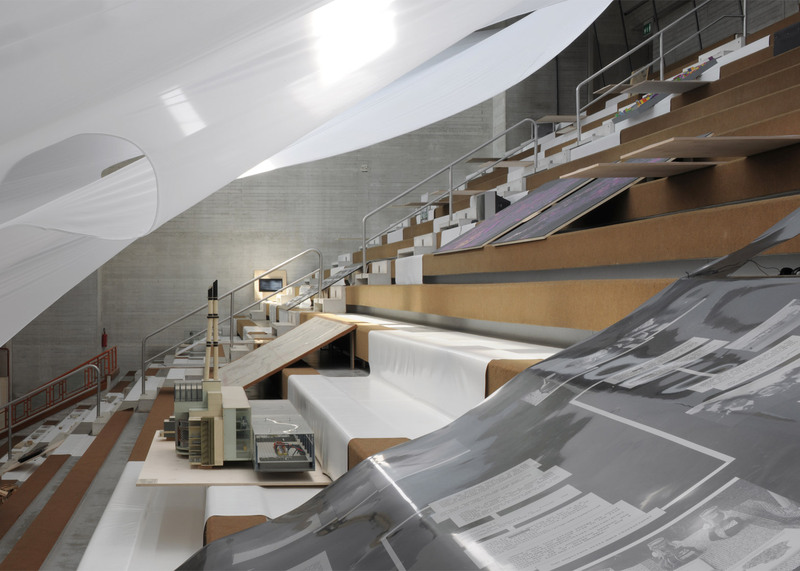 "You should come to the Biennale not for two days, but three days – one day for Arsenale, one day for Giardini and one day for the Baltic Pavilion," said Paegle. 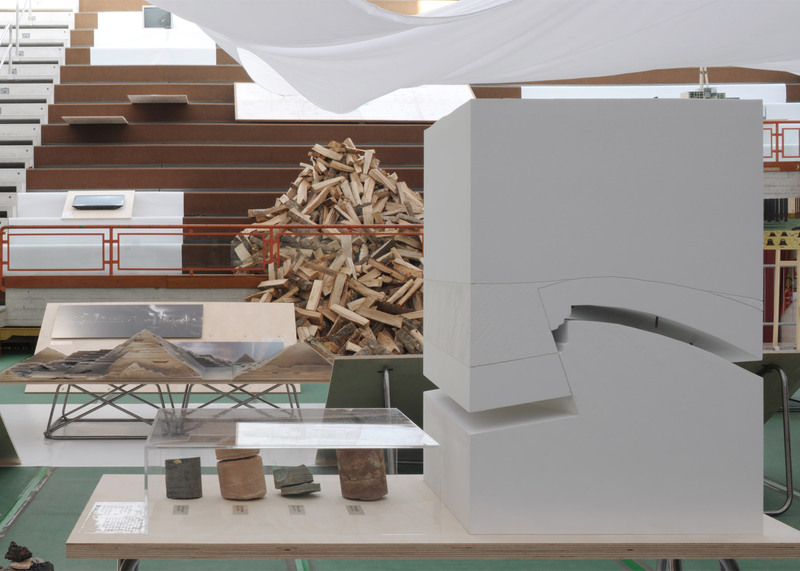 The show begins by taking an geological approach to the region, based on the belief that humanity's environmental impact on the earth is altering its natural geological processes. 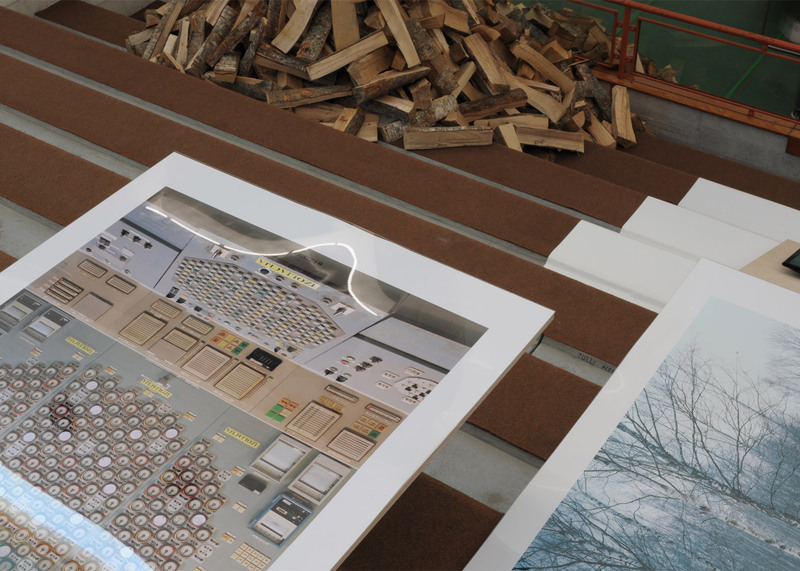 The works attempt to "unravel the conventions and instruments operated by a wide range of spatial practices, industries, and infrastructures that are actively transforming the built space of the three Baltic States and wider region." "We enter it [the exhibition] through the understanding of our environment as part of a new geological epoch," explained Paegle. "The Anthropocene basically allows us to see things in relation to one another, so we no longer separate between mineral resources, the built space and human activities these are just layers of stratigraphy." "This entire exhibition is a cross section through this stratigraphy." A book of collected essays titled The Baltic Atlas has been published in conjunction with the exhibition, with contributors including British Pavilion curator Jack Self and London-based design collective Åbäke. "This atlas is a gradient between two questions. The first: 'what is possible to imagine?' focuses on interpretations, fictional stories, analyses, and reflections on the ongoing processes, and proposes future projections," said the curators. "The second: 'what is possible?' 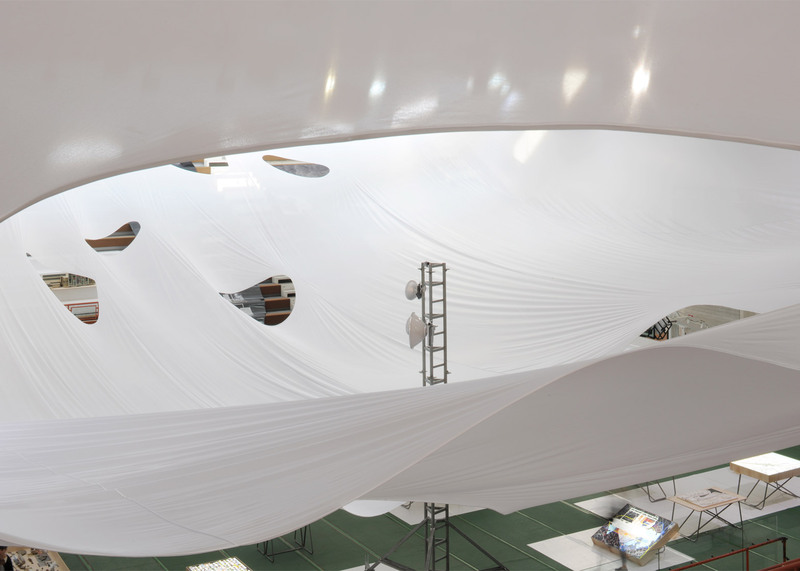 is an inquiry into the methods, resources, and parameters that define space." 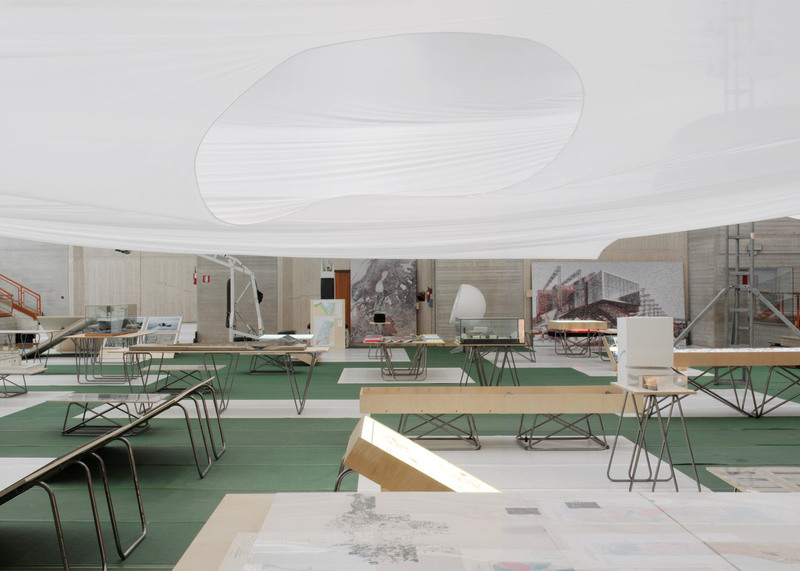 The Venice Architecture Biennale 2016 is curated by Chilean architect Alejandro Aravena and runs until 27 November 2016. Aravena's theme, Reporting From The Front, is a bid to encourage architects to address some of the most important global issues. 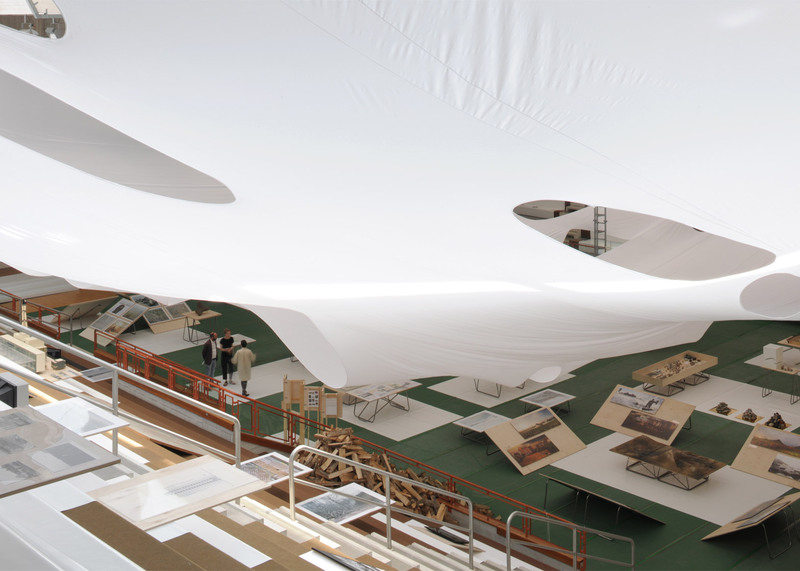 The Golden Lion for best national pavilion went to Spain, which focuses on unfinished structures left in the wake of the 2008 financial crash.